Reason 1: I know we are all super busy right now. Busy with gatherings, making treats (have you made the sugar cookies yet? ), and wrapping presents. Reason 2: I’m just beginning to make homemade presents and shop from my Christmas list. Talk about major procrastination this year. Despite my procrastination, I have a plan and my calendar space marked off, so present making and shopping officially starts once I hit publish on today’s post. Today’s post is the last post I plan to share on Live Simply for 2015. At end of each year, I take two weeks off from officially blogging to spend time taking care of the back-end tasks that are so important for a blog, but often get neglected due to content creation, recipe development, writing, and photography. During this two week break, the Live Simply Team will be working hard to improve the blog: making it more user-friendly when it comes to navigation, updating old photos, etc. You may have noticed that we’ve already started to make a few (better) changes around here, like my new shiny profile photo on the sidebar and new family pictures on the homepage slider (like the one below). We’ve also been working hard to offer new lifestyle resources for the Live Simply Family. As a result, I’m excited to share that the Real Food Crash Course has been updated! The improved course offers new recipes, prettier pictures, and even a couple of extra printables. 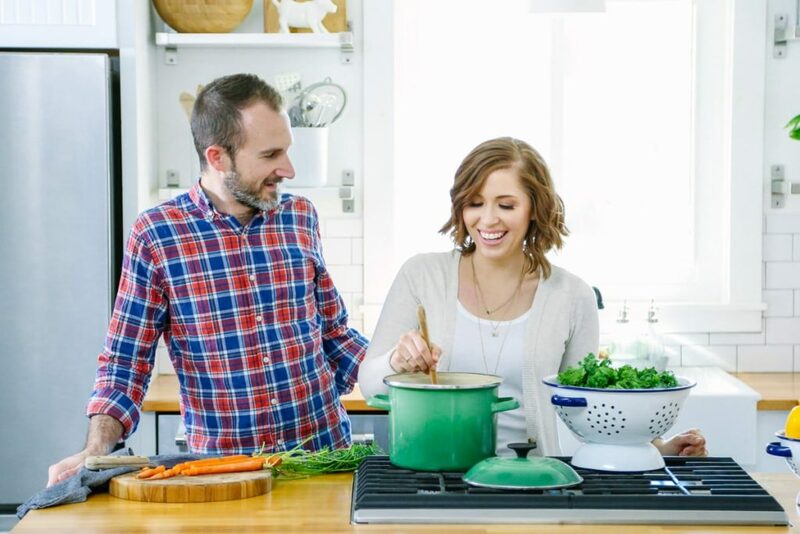 This crash course is designed to help you jump-start a real food lifestyle with real food tips and seven recipes to get you started. I’m also excited to share that we’ve developed a brand new crash course for natural cleaning. This free crash course is designed to help jump-start your natural cleaning journey with a few tips and three easy cleaning recipes. If you’re interested in receiving both crash courses, subscribe to the Live Simply Family Newsletter. So while the blog may be quiet as far as new content goes, I’ll still be here, working hard to make improvements on the back-end of the blog and interacting via comments. I’m also excited to spend this break working on some new content (food recipes and do-it-yourself natural living tips and recipes) from my ever-growing “to share” list. It’s a long list, friend! 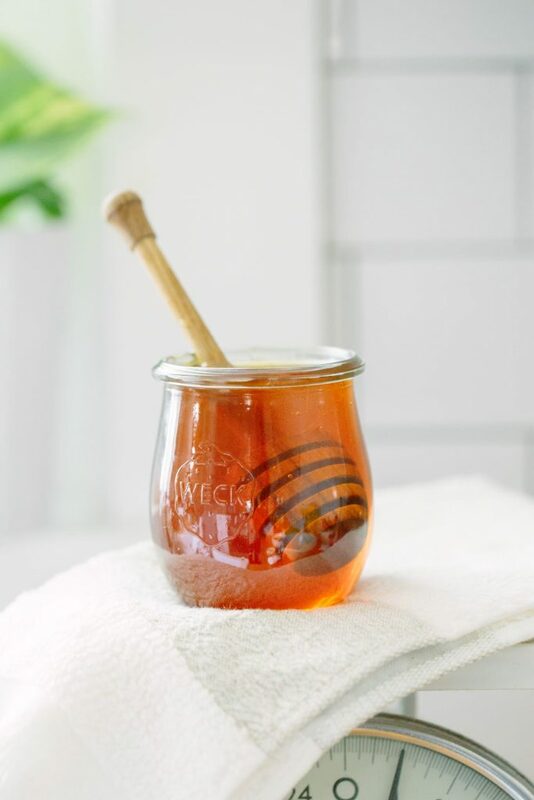 Now, onto today’s recipe: Nourishing Honey and Sugar Body Scrub.If you’re looking for a last minute gift idea or a simple way to nourish your skin during this dry season, I encourage you to make a jar (or two) of this incredible body scrub. This skin-loving scrub is both invigorating and nourishing, and it can be used on your entire body. I know I said today’s post will be short and I’m already up to 491 words…496 now, so let’s take a really quick look at the ingredients…really quick! Sugar: Good ol’ sugar is a humectant which may help the skin retain moisture. Sugar also contains glycolic acid which may help encourage cell turnover and fresh-looking skin. 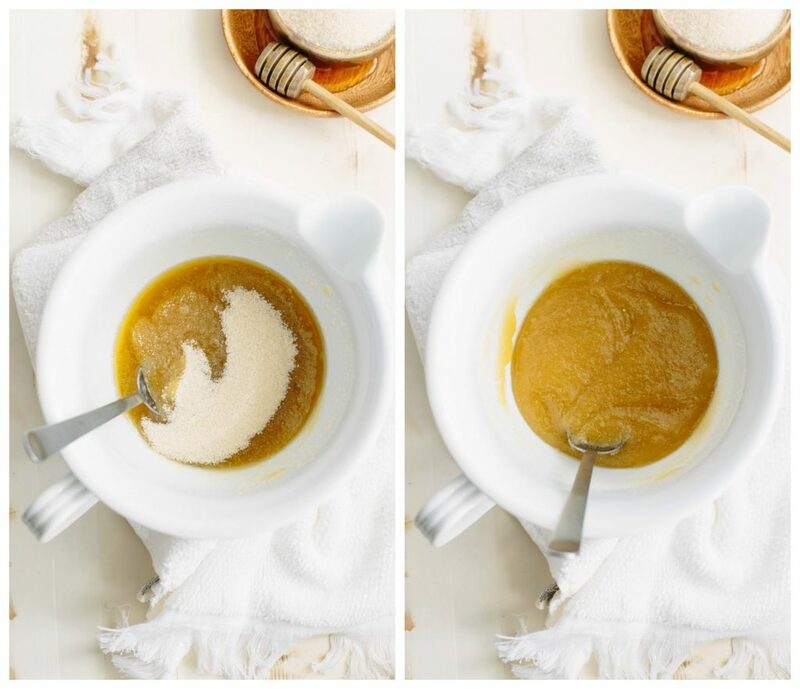 Not all sugar is created equal when it comes to homemade skincare. I highly recommend using a softer sugar (such as: organic white or brown sugar) for homemade scrubs. The abrasive nature of more natural sugars (sucanat, coconut sugar, raw sugar) may leave the skin irritated and red. Raw Honey: Raw honey is simply honey that hasn’t been pasteurized. Due to the lack of pasteurization (heating), raw honey is naturally rich in antibacterial and probiotic properties. Honey is also gentle on sensitive skin, but tough enough to remove dirt and other impurities. 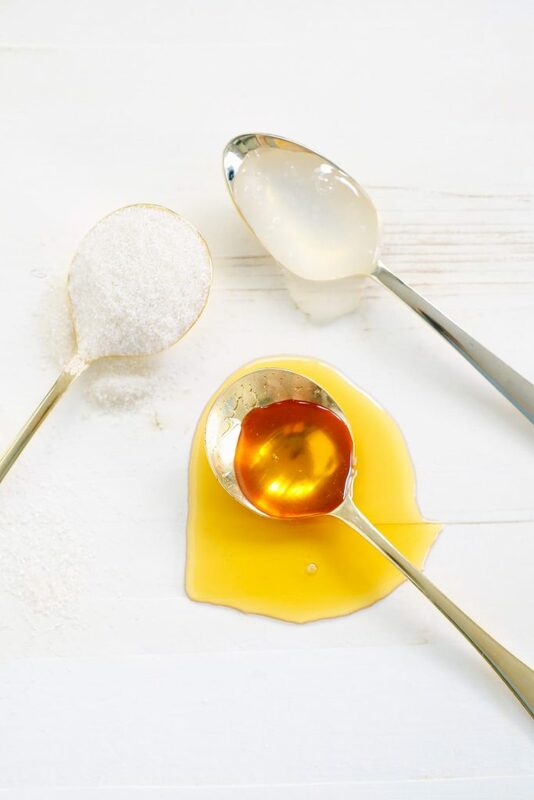 If you can’t find raw honey in your area (although many stores/markets now sell raw honey, so take a look before dismissing this ingredient), pasteurized honey may be used. Aloe Vera Gel: Aloe vera is a common ingredient used to treat sunburns due to its soothing and antioxidant properties. Since we know aloe is great for the skin, why not add it to a body scrub? Aloe vera provides soothing and moisturizing benefits. Olive Oil: Yep, the same ingredient used to make homemade salad dressing may also be used on the skin. Olive oil contains three important antioxidants which may help keep the skin from aging prematurely. Oil is also known to help cleanse the skin by drawing out unwanted oils. 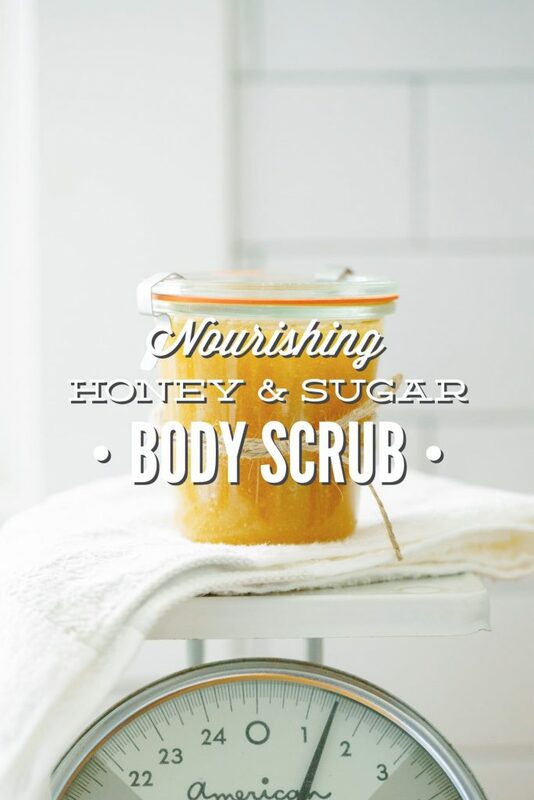 Bottom line: This homemade scrub is good stuff! So make a jar for yourself (as a little end-of-the-year pampering present) and a few jars for the special ladies in your life. See you in 2016, my friend! 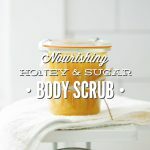 Now, onto today’s recipe: Nourishing Honey and Sugar Body Scrub.If you’re looking for a last minute gift idea or a simple way to nourish your skin during this dry season, I encourage you to make a jar (or two) of this incredible body scrub. 1 cup organic white sugar or brown sugar--The sugar should be soft not large granules. 1/2 cup extra virgin olive oil not an oil "blend." 1 TB aloe vera gel Look for a gel that doesn't require refrigeration. 10 drops lavender essential oil or other skin-friendly essential oil like rosemary essential oil. In a medium-size bowl, combine all the ingredients. Store the scrub in an air-tight container in a cool, dark place (the linen closet or medicine cabinet). To Use: Apply a tablespoon at a time to your hands. Gently massage the scrub over your entire body for 30 seconds. Rinse the scrub from the skin with water and a washcloth. 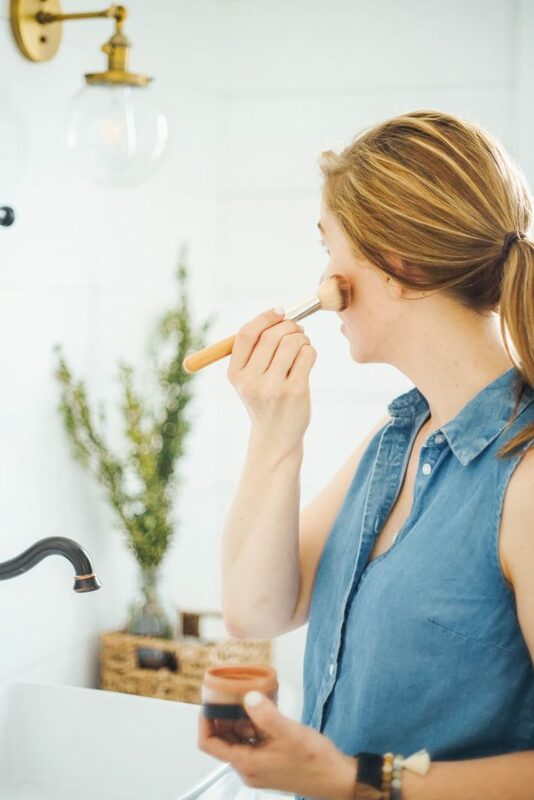 When you introduce water into a product without a preservative you always run the risk of introducing bacteria, so use a spoon to scoop this scrub into your hand (wet hands = water in the scrub). This sounds like an absolute dream! 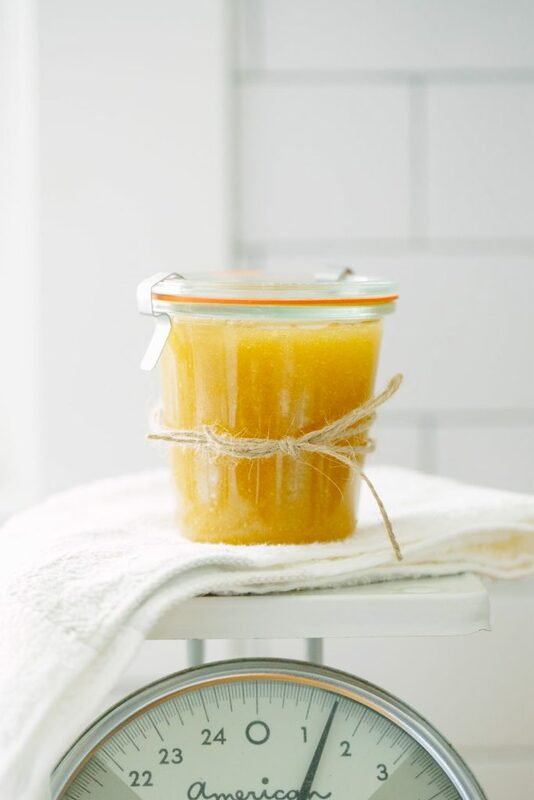 I often make my own sugar scrub or honey scrub, but never thought to add aloe gel! Great idea. Awesome, Marina! I think you’ll love the aloe addition! Hey Marina, Thank you. I haven’t tried this recommendation, but I think you could up the aloe to 2-3 tablespoons and skip the honey. The aloe is very soothing :). Great scrub, I really loved it. I love everything in your blog. Can I put an aloe vera gel from the plant?, I have it in my garden. In my country it is difficult to find the gel in stores, this plant grows very well here that almost everyone has one. Hi Andrea. I think you should be able to use aloe vera from your plant. In another post Kristin said you can use aloe vera from a plant instead of the gel, but you will have to keep it in the refrigerator. Where do you get those beautiful jars from? Hey Ewa, The jar in the picture is made by Weck: http://amzn.to/1Vqzds5. I absolutely LOVE Weck jars!! Enjoy! I’m certainly going to try your body scrub. I love using essential oils and mixing them to create new fragrances. I signed up for your blog last month and have enjoyed exploring the site. Thank you for all your wonderful Ideas there at many new things to add to my home made cleaning methods. A happy, healthy and joyful new year to you and all your family. I’m so glad you’re enjoying the blog, Loriane! Thank you so much for sharing! Enjoy the scrub…it’s so refreshing! Thanks for sharing! can this be used as a facial scrub too? Hey Ash, Yes, it can :). I use it twice a week on my face. Thank you so much for all of the info you have provided. I love to keep coming back to your site and reading your old posts, I have learned so much in such a short time. I wish you and your family, a healthy, happy, and prosperous New Year. Does your sugar settle at the bottom and require stirring before use? Hey Courtney, I haven’t had this issue, but if the sugar settles in the future, stirring the mixture before use should help :). Thanks, also how long is the self life of the product? Hey Cortney, As long as water isn’t introduced into the product, my scrubs last a couple of months. Thank you for putting so much time into your blog. I find myself coming back to it so often because you make everything so simple, hence your name. Two questions. Any essential oil can be used, ie. Eucalyptus Spearmint? Can you please recommend a safe plastic squeeze bottle for shower use? Hey Frances, I’m so glad you’re enjoying the blog! Yes, any essential oil that’s skin-friendly will work in this recipe, and you can also leave the essential oils out. I really like these bottles: http://www.humangear.com/gotoob/. But I don’t think they will work for this scrub due to the sugar. I’m not sure if there’s a squeeze bottle with an opening large enough to work with the sugar. This is such a helpful article. I really love body scrubs, cant wait to try this one out. Thank you for sharing! Wonderful, Alice! I hope you like it! Hi, I’m new to body scrubs and wanted to find something cheap and easy I could make on my own. Your recipe sounds great and I definitely will be making this. I just have 2 questions I hope you will be able to answer despite this post being old. 1) Can I use coconut oil instead of olive oil? Hey Vinita, Yes, you can use coconut oil, but it may solidify if it’s cold outside. You can use fractionated coconut oil to prevent this from happening. From my experience, the scrub is great for removing dead skin. Enjoy!! Hey Kayla, Yes, but since it lacks any natural preservatives you’ll need to make a small amount and keep it in the fridge (will last about a week). Hi Kristin, is me again hehe ^-^, about the aloe vera gel, can i skip it or anything else can sub to? Thanks again!! Hey May, You can skip it :). Oh yeah, i forgot to ask about DIY shampoo and conditioner, i couldn’t find any from your blog, is there any? Thank you very very much Kristin!! Hey May, I don’t have any. I haven’t been able to create a satisfactory product for shampoo or conditioner. For now, I’m using a more natural option from the health food store, or BeautyCounter. Its ok, Thank you Kristin ^-^. Btw i made midew spray, all-in-one bathroom cleaner and toilet bowl cleaner, they all worked great. Use store bought bathroom cleaner items will make me feel sore throat after used, but this time i used your DIY ingredients to wash was totally fine. Thank you so………… much Kristin!! Love your blog so much!! Thank you! Thank you! I wish you and family have a merry x’mas and a happy new year!! That’s so great, May! And thank you. I’m so glad you’re enjoying the blog. Have a great Christmas and Happy New Year! Im defiantly going to try and make this scrub today! Just wondering if I can add Germall Plus as a preservative for longer shelf life? Would you know what percentage to add it at? For those using raw sugar. If you find it too abrasive, just put the sugar in the blender or coffee grinder to get smaller granules. Can I use this on my 12 year old daughter’s face? Hey Omah, To my knowledge, a preservatives isn’t added to scrubs (no water is added to scrubs) to extend their life.